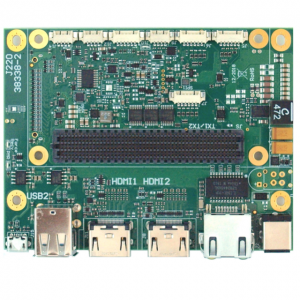 The E10 compact H.264 encoder module features an LVDS HD video input mainly for block camera modules of various manufacturers. Mechanically this input is a KEL USL00-30L-C connector for 30 pin micro coax cables. The E10 compact encoder module on the photo on the left is mounted on the back of a Panasonic block camera. First the 38138 mounting plate is attached to the back of the camera with two M2 screws. Next the E10 (38117-2) compact encoder module is mounted to the mounting plate (4x M2.5×5). Last the 38136 multi I/O module is plugged in on top. 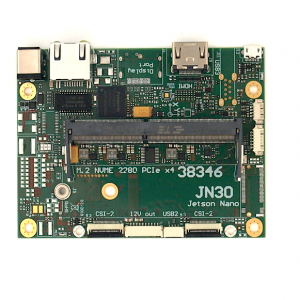 It features the 10/100 Ethernet connector, a pin header for 3 servos and an optional USB port. The RJ45 connector may be left off to further reduce the weight. Now a “custom” Ethernet cable with 4 flexible wires may be directly soldered to the 38136 module. This is ideal for Gimbal applications. 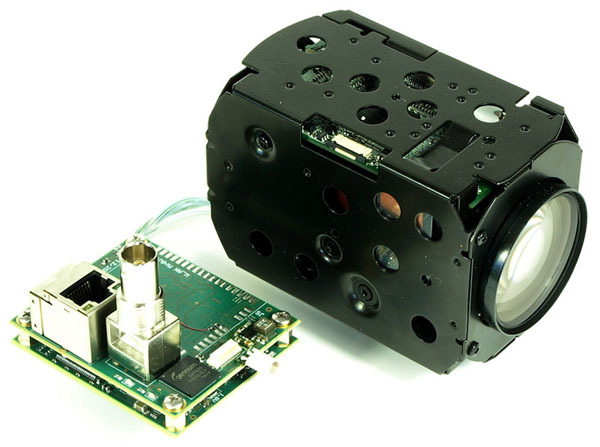 The E10 compact encoder module converts various block cameras into a fully featured IP camera. It has the same form factor as the block camera, so can be mounted on the back of the camera. 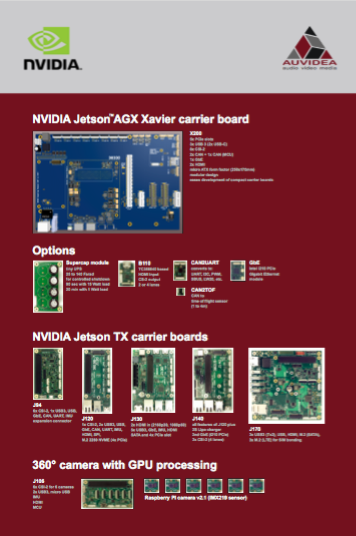 Here the interface board 38118 is shown. 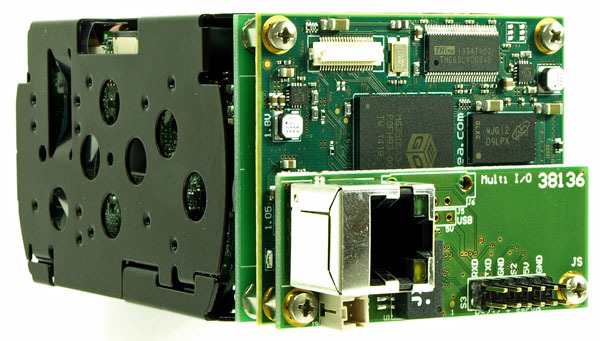 It features an HD-SDI video output (upright BNC connector), an optional Carambola 2 module (not populated) and 10/100 Ethernet with optional power over Ethernet (PoE). 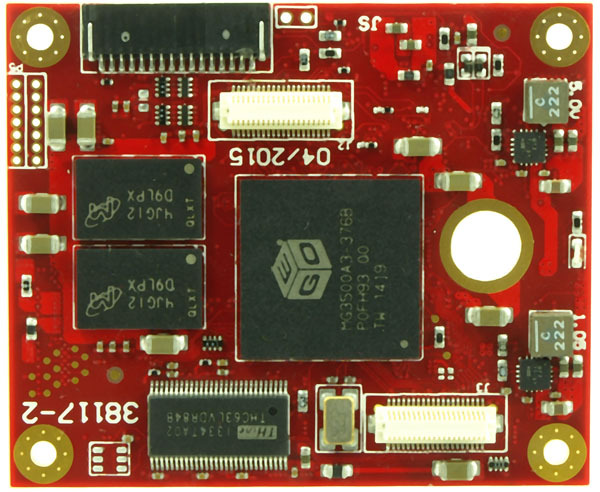 The E10 encoding module requires an non-optional add-on module to connect to power and network. standard model – the E10 module is powered by 7V to 17V (12 typical). This voltage is directly supplied to the camera connected via the 30 pin micro coax cable. 5V model – the E12 produces a regulated 5V for the camera, independent of the voltage which is supplied to the E10-5 (7V to 17V). Please note, that the E10 encoder does not support 1080p50 and 1080p60 modes as these have a pixel clock of 148.5MHz. The E10 only supports the 74.25MHz modes which are listed above. The camera models below have been explicitly tested. 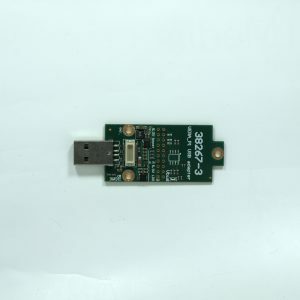 However the E10 should work with any block camera which has the 30 pin micro coax (LVDS) cable connector (KEL). Please make sure, that you use the right cable. All cameras below require the same cable. It is the “1 to N” kind. If you put this cable flat on a surface with all cable in parallel, the golden contacts of both connectors should face upwards. Pin 1 is connected to pin 30. Do not use a cable, where the contacts one side face up and one side face down. 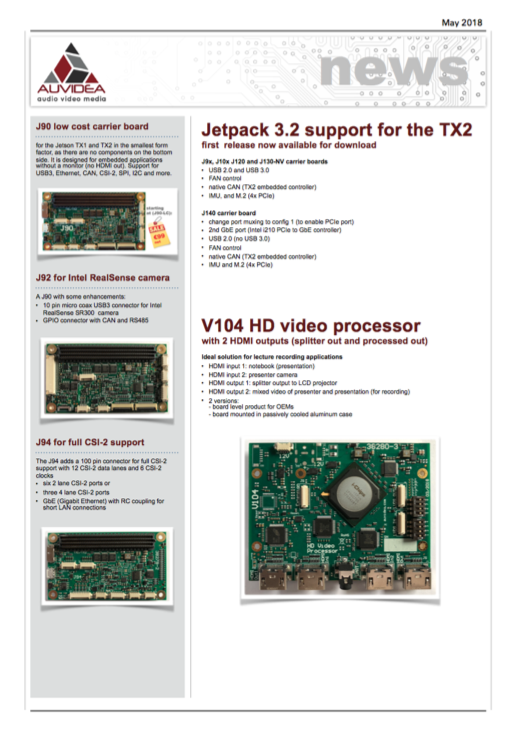 Only a limited number of rev 2 (38117-2) boards were shipped. With rev 3 (38117-3) the KEL connector on the E10 was rotated, so that the standard micro coax as specified above may be used. Rev 2 requires “1 to 1” cables, where the contacts are on opposite sides. Rev 3 is now available in 2 versions for 5V and 12V block cameras. This encoder is being integrated in a drone or UAV. This project is described in detail in a how to on rcgroups.com.